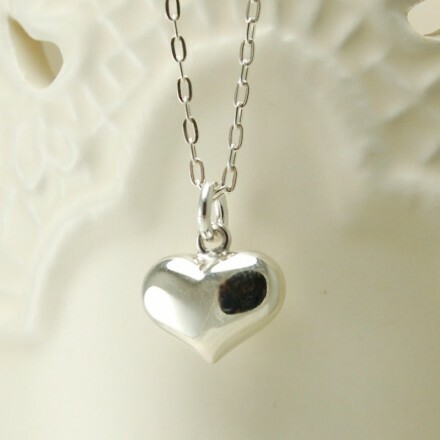 Heart shaped pendant made for sterling silver on a delicate chain. The heart matches the charm on our pearl bracelets. Chain length approx. 18 inches heart pendant mesures 0.6 of an inch in diameter. Lovely item ideal for christening present or birthday of any age!